at Maraya Art Centre, Sharjah, 25th February 2016. Al Haraka Baraka, is translated as "in movement there is blessing.” The title is suggestive of the fluidity of influences that have in the 40 years since the founding of the UAE, created a mixture of religions, ethnicities and customs from which this exhibition draws its theme and title. Al Haraka Baraka showcases the work of ten artists with roots in the region and explores the synthesis of cultures and creative influences in the Emirates. 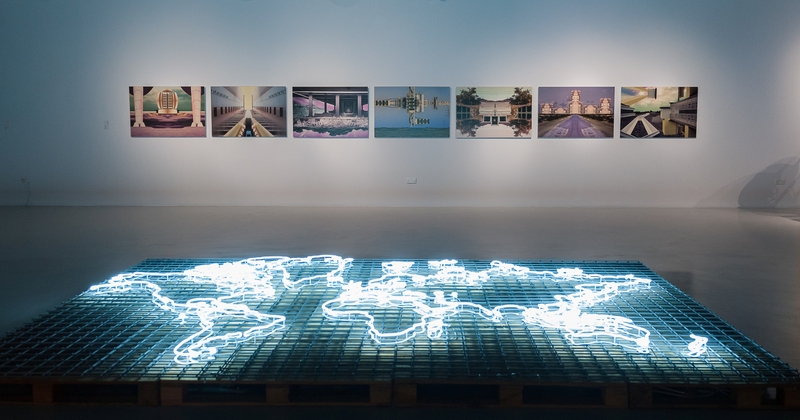 The United Arab Emirates, considered an oasis amidst the tidal forces of global tension, has grown an international community of artists which have established their practice in the region. 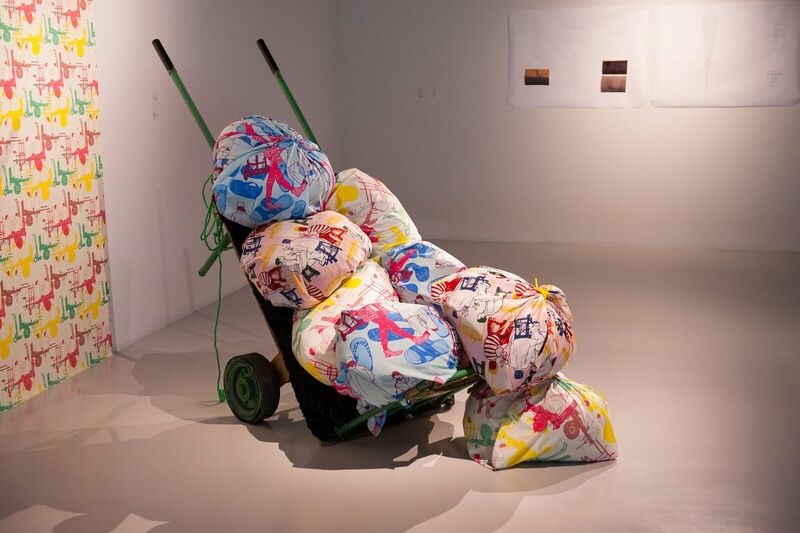 The array of artists exhibited is united by an inquiry into what it means to belong, and how memory and communication impact our sense of identity. The exhibition is anchored by well-established artist Mohammed Ahmed Ibrahim and is joined by nine newly commissioned pieces, by emerging artists. The invitation extended to Ibrahim is reflective of the motivating premise for the show, as well as the mission for UAE Unlimited. His well-established presence in the artistic community and more than 40 years’ creative practice of geographical conversation through his land art pieces, provides continuity for artists and art patrons as they address the n multigenerational concerns of a changing landscape. Cities which have been perennially under construction since the inception of the UAE, encroach further each year into the surrounding desert, thus collected and collective memory serve as benchmarks for the perpetual making and remaking of the region. A brief survey of selected artists, who are poised to benefit from Ibrahim’s experience, typify the exhibition’s thematic choices, as each draws attention to the architectural and geographical narratives from the country’s short history and attempts to capture the memories of an environment that is in a permanent state of flux. Ibrahim’s land art photographs, are documentation of the pieces and the land from which they “arose,” at the time of their creation. These embody the idea of the land and the environment as the foundation upon which this country was built, and serve to effectively anchor the timeline of changes that is the basis for Al Haraka Baraka. 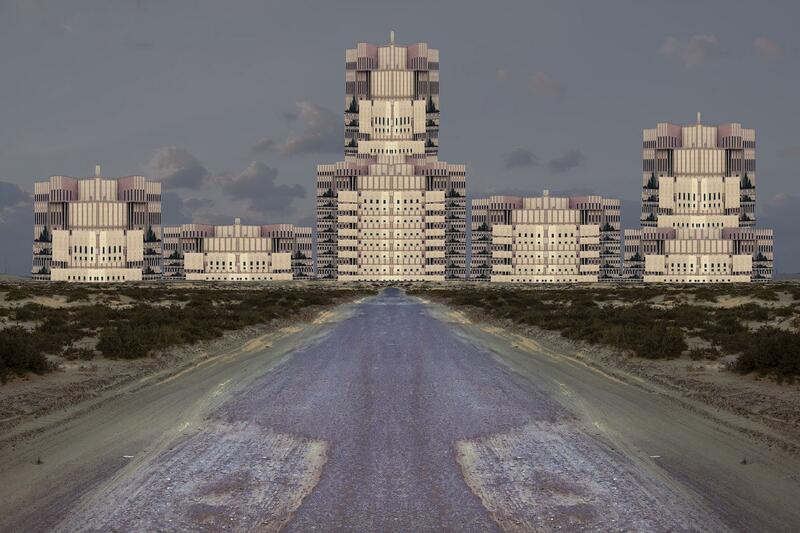 The work of Alaa Edris, a visual artist with a self-reflexive approach, manipulates photographs to combine buildings which were constructed prior to the formation of the UAE with those of the present, to create images that fuse this past with the notion of an uncertain future. 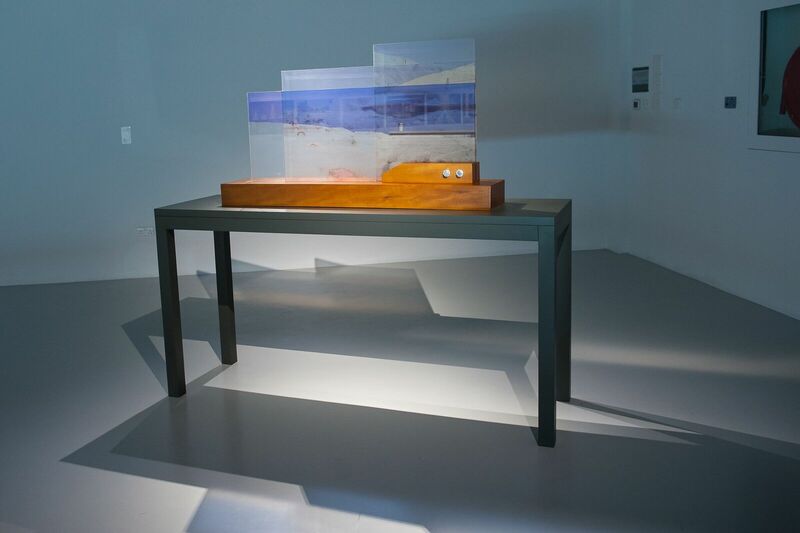 An ephemeral interpretation of a changing landscape is expressed through the work of Tulip Hazbar, who explores an “in/tangible” musical environment, to explore the diverse nationalities living in Sharjah. From Sound and People: Sharjah, is a ring of short musical compilations based on conversations the artist had with people from various social strata. 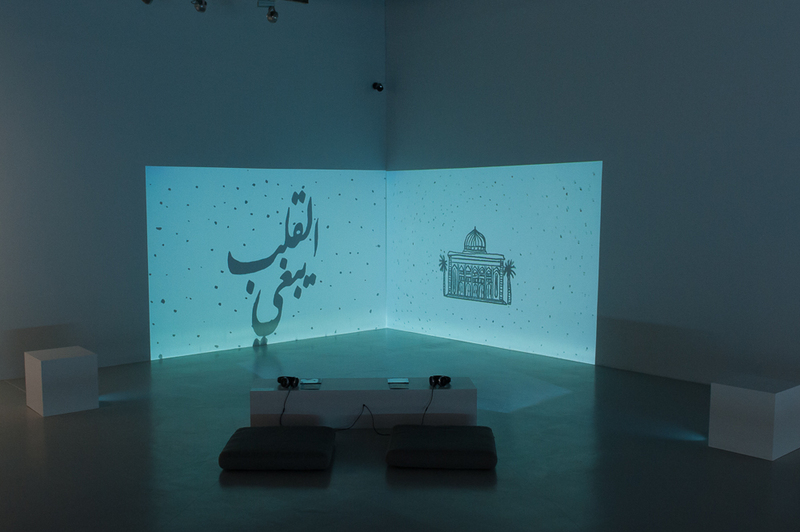 For Hazbar, the music of Sharjah’s inhabitants is tethered to their point of origin, thus articulating the concept that home is contextual, conditional, and potentially fluid within a single person. 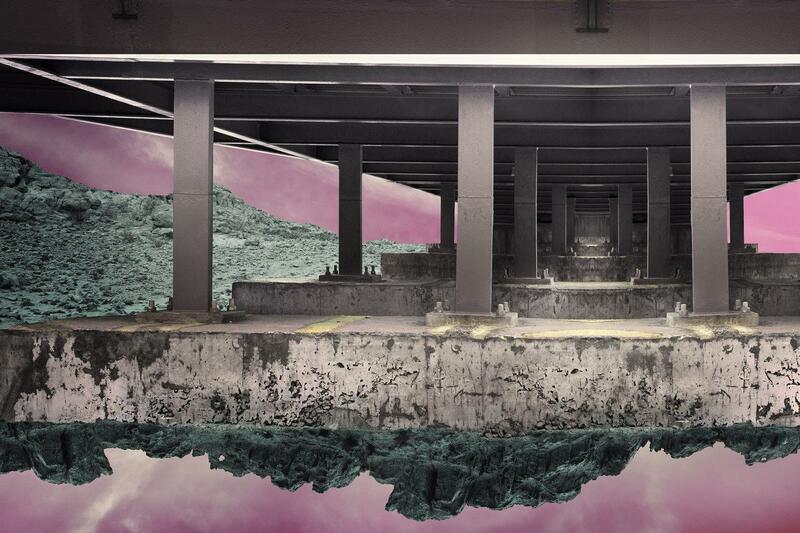 An idea which might be experienced more broadly as a medley whose thematic variations are an overture to an entire city. 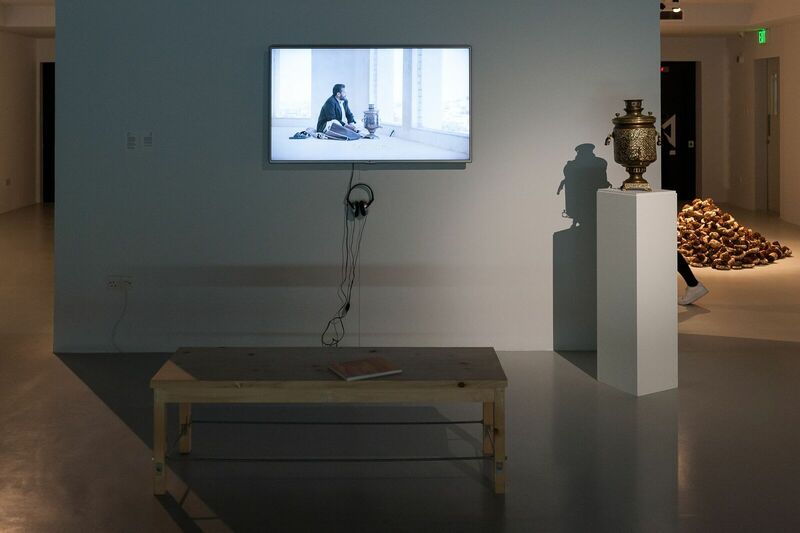 Curated by Alexandra MacGilp of Maraya Art Centre, Al Haraka Baraka features work by Ammar Al Attar, Alaa Edris, Reem Falaknaz, Hazem Harb, Zeinab Al Hashemi, Tulip Hazbar, Hind Mezaina, Khalid Mezaina, Walid Al Wawi and Mohammed Ahmed Ibrahim.